Pistachio’s very own Lucy Hatefi recently participated in the launch promotion of The Mindy Project, a new comedy series that premiered on Fox on September 25, 2012. Lucy was the lead hairstylist in the Mindy’s Mobile Makeovers, a fully-wrapped, custom vehicle that was showcased at the Searsucker restaurant in downtown San Diego. 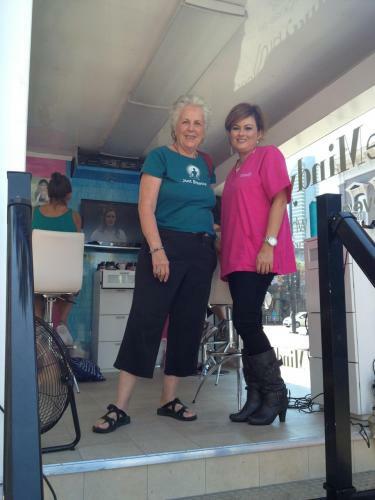 Pistachio offered complimentary blowouts and other nail technicians did “Mindy-cures”! We were proud to have participated in the launch of this fantastic new commedy show and wish the cast and crew must success! For more information, check it out Twitter @MindyProjectFOX and Facebook.com/TheMindyProject.